BES IT Systems are a DELL EMC partner in Brisbane, Queensland. We can offer a full range of DELL and DELL EMC products and solutions. In regards to end-point devices, Dell gives today’s workforce what they need to securely connect, produce, and collaborate; anywhere at any time. Award-winning desktops, laptops, 2-in-1s and thin clients; powerful workstations and rugged devices. 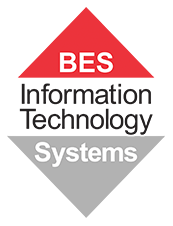 BES also regularly procures Dell monitors, docking and endpoint security solutions and services for our corporate, education and non profit clientele. Dell EMC enables organisations to modernise, automate and transform their data centre using industry-leading converged infrastructure, servers, storage and data protection technologies. Businesses get a trusted foundation to transform their IT and develop new and better ways to work through hybrid cloud, the creation of cloud-native applications and big data solutions. A popular data centre refresh solution among our corporate and non-profit clientele is to utilise DELL EMC and Nutanix hyperconverged software. We can assist your business with all DELL EMC solutions. Request a call back by leaving your details and our local Brisbane-based experts will return your call within 3 business hours.